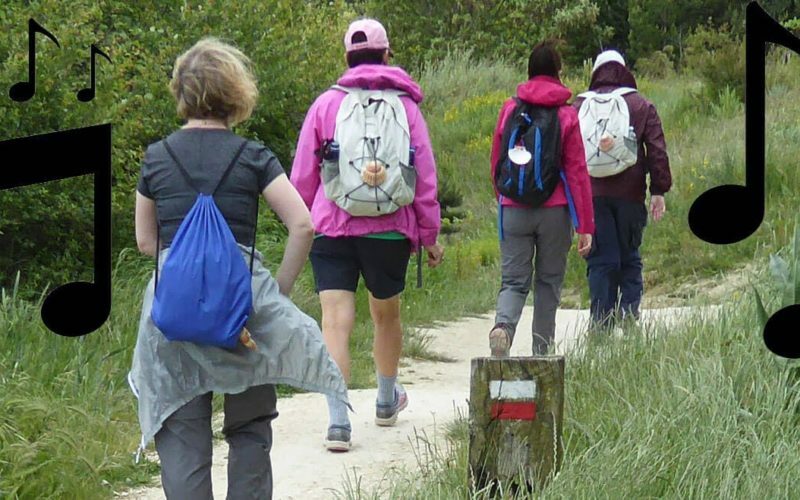 Staying motivated during your walk is a key to a successful Camino. The best way to make the time fly if you are out walking on your own is to listen to music. Our tip: Create an album composed of songs that you haven’t listened too in a while. This will ignite a trip down memory lane whilst you walk. Another option is create a playlist of your favourite songsthat lasts at least 30 minutes or longer. In no time you will have got through your playlist and got your steps in. Listening to your favourite songs can definitely put you in a good mood. You can even pick songs with different rhythms and match your walking speed to the songs – walk faster during more up tempo songs and then take a relaxed pace during slower songs. To read an interview with musician David Kinsilla who has released an album inspired by Galician music and the Camino de Santiago, click here.